Vision & Leadership. Our 2017 Creativity & Convergence Conferences in Edmonton and Calgary identified three pillars for Creating the New Alberta: Energy transitions. Leadership in innovation. A resilient economy. Surveys of our network consistently identify vision and sustained leadership as primary to economic development. 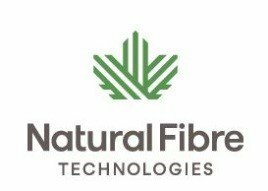 2019 – We are incorporating the Ontario Council of Technologies Society and are investigating introducing the semi-annual survey to include Ontario. 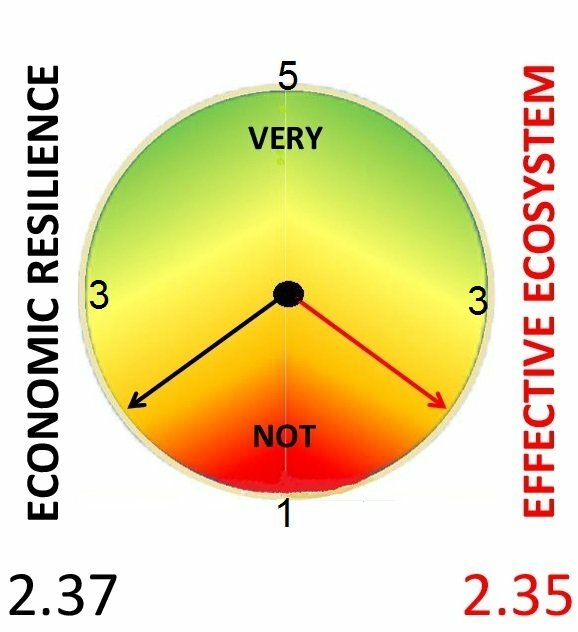 This would allow an inter-provincial comparison of our network’s sentiment of economic resilience and the associated innovation ecosystems. 2019 – Our multi-year Engaging Youth project will be extended to all of Canada and include it’s post-secondary students. The report will be central to a national conference in the fall for post-secondary institutions on Quality Assurance in Education. Planning is also underway for extending the project worldwide in the spring of 2020 and webcasting the results at a fall conference in partnership with the National (US) Creativity Network. 2019 – A provincial Conference for the spring will be announced shortly. Autonomous transportation. The public continues to learn of progress in developing technologies for automating transportation. Alberta enterprise is strong and regulatory measures are in preparation. This may be a significant economic opportunity for Alberta. 2019- ABCtech continues to support TechInvest that is seeking investment opportunities targeting specific industry clusters and is securing it’s initial rounds of financing. Going Global. We continue to develop relationships directly with Brainport in the Netherlands and through members of our Alliance with Europe. 2019 – We will be investigating Asian and African markets for traceability technologies and training opportunities in agriculture. Our bi-annual Festival of BIG Ideas is to be revitalized targeting off-shore partners and featuring both a winter and summer version. Each of four party candidates for Premier of Alberta are invited to deliver a 20-minute address followed by a 10-minute Q&A. Edmonton Journal columnist, David Staples caught my attention last week with his article HERE on the findings of Vivian Krause, founder of the Fair Question Blog. She revealed that Americans have been funding NGOs in Canada contributing to locking up Alberta’s oil sands. Astounding! But what if anything can be done about it? Vivian Krause’s recent revelation is that corporations of Robber Baron status have for the past ten years been funneling funds through charitable foundations (“money laundering operations”) to control the economy of a small geographic area of Canada called “Alberta”. The vulnerable target is site of the world’s third largest oil and gas reserves, the largest yet known in the Western Hemisphere – and right in the backyard of the U.S. Under a unified system of “law”, the 21st century Robber Barons have managed to isolate, landlock, and control Alberta, Canada’s source of mega wealth. Should anyone be shocked? This is happening with most of the other prominent elements of the Canadian economy: education, health, finance, natural resources, politics and more recently technology. Consider the corporations now overseeing Canada’s economy. Is any one of them Canadian? Canada’s economy is not under it’s control. Development of Canada’s carbon assets and associated supply chains has been financed by U.S. corporations for serving U.S. interests in return for royalties and taxes. These chains are largely under their control, secured for the most part through long-term corporate and international trading agreements that also constrain the diverting of Alberta carbon for value-added processing of: wheat, meat, fibre, timber, oil and gas. Canada to the world is viewed as cold – it’s defence, sparsely populated by intelligent, well-educated people who are polite, “apologetic”, naive, docile, hard working, and prosperous thanks to it’s bounty of carbon resources and receptive U.S. market. Our politicians have little leverage to rectify the situation. And the public sector is expected to maintain a “risk free”, “make no mistakes”, “cause no commotion”, safe and secure operation in delivering Government policy. That is not to say, they do not have ideas, but their ideas must, if they are to be acted upon, be endorsed by their political masters and trade agreements. 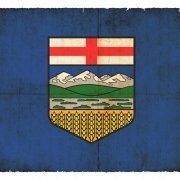 They have little if any leverage over the forces shaping Alberta, Canada’s future. Canada’s party system exists to get votes, offend few and get elected. It is not a system for change – unless shocked, but rather – at best, tweaking the status quo. No shocks thank you! Alberta has appeared unshockable. In Alberta with an economy dependent on oil and gas, diversification gets lots of government talk. But to diversity is not a quick fix and requires sustained voter support. If anything, political decisions have made the situation worse – in the east, in the south, in the west, plus in the courts to the delight of many interests: NGOs, indigenous peoples, environmentalists, and several US and Canada integrated oil and gas companies profiting on the huge oil price differential. Oil and gas economies are particularly problematic. Only Texas can be cited as successfully diversifying an oil and gas economy. Even though Alberta’s economy is admittedly vulnerable and in need of diversification, nothing has triggered change. As long as Alberta was prospering and even when not, little was done. Alberta knew 50 years ago it would be an economic engine. And it knew it came at a price on the environment – air and water quality, polluted land, wildlife impact, plus considerable economic turmoil and volatility. The Heritage Trust Fund proved untenable for mitigating the social and economic consequences. But citizens prospered, public institutions grew, and handouts became routine and expected. A new culture emerged, Alberta, Canada were blessed – entitled. What to do? Can a strategy be formulated? Collaborate. Is it possible to engage the oil and gas producers, the politicians and their bureaucrats, unions and professions, and special interests together for the purpose of developing a promising long term strategy? A Sales Tax. What about introducing a sales tax? First, that is not a strategy, it is a tactic. And a sales tax does nothing to solve THE problem of diversification, it only serves to perpetuate spending and sustain the status quo. Innovation. What about Innovation? It can help, but sustained change will require more than innovation; a realignment of VERY divergent interests is necessary and that is political! (See also – Innovation Nation). If an alignment of interests cannot be achieved, then how long can even the status quo last? Learn from Others. In the early 1900’s a few “Robber Barons” controlled the United States economy with monopolies over oil and gas resources, transportation, and finances. It took an act of Congress to break up Standard Oil and others. We also learned 25 years ago that U.S. charitable foundations (“for the public good”) were being used to influence: politics, governments and to segment the population – societies within societies, thereby setting people against themselves using the monies purloined from them in the first place – in the interest of powerful and well-heeled Robber Barons. Some of the old faces are still involved but there are new faces – powerful, all-knowing corporations worth $Ts that are larger, and multi-national. Today thousands of public and private foundations and associated societies are serving corporate interests that may not align with the public’s interest. Wolves in sheep’s clothing. Lessons from China? China’s economic “miracle” is attributed to increased involvement of the private sector with several lessons that Alberta, Canada might consider: the release of former constraints on it’s economy, promotion of entrepreneurs and innovation, and the capacity to contain multi-national interests. Plus the extraordinary enterprise of people who had suffered through decades of suppression. Recognize the urgency. The requisite sense of “urgency” and follow-on political action for diversifying Alberta’s economy has been missing. Nothing has seemed to trigger action: not low oil prices or the shrinking price differential, not government debt or deficits, or reduced corporate investment or unemployment – that is currently growing outside the public sector. Can the combination of the horrific oil price differential and the revelation that multi-nationals are locking up Alberta’s oil sands be the long awaited shock? How ‘miniature suns’ could provide cheap, clean energy. FOR MORE Nuclear fusion has long been heralded as a potential answer to our prayers. But it’s always been “thirty years away”, according to the industry joke.Now several start-ups are saying they can make fusion a commercial reality much sooner. Nuclear Innovation: Clean Energy Future. FOR MORE Nuclear Innovation: Clean Energy Future – NICE Future – is a new international initiative launched under the Ninth Clean Energy Ministerial (CEM) in May 2018. Fighting to get full value for Alberta oil. FOR MORE Premier Rachel Notley is appointing a team to work with key energy leaders on bold solutions for closing the historically high oil price gap that is robbing the Canadian economy of more than $80 million a day. Premier establishes Energy Upgrading Unit. FOR MORE Alberta will prioritize upgrading and refining more of the province’s energy resources at home, keeping more jobs and value within the province. What Now? Strong Ties: Canada & China’s economic relationship? FOR MORE The new United States-Mexico-Canada Agreement (USMCA), which is destined to replace NAFTA, has generated controversy in Canada over a clause that seems intended to pressure Canada from negotiating a trade agreement with China. While these fears are at first understandable, a close look at the facts shows that the concerns are also largely overstated. 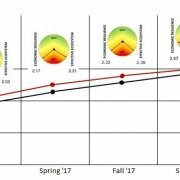 The theme for this issue seems more than obvious – that technologies are emerging faster and faster. There is hardly a day that goes by that another breakthrough or insight adding to the promise of new wealth through innovation if managing change is your forte. 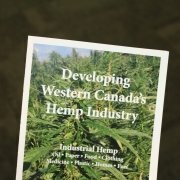 This issue contains the first of three articles about the emerging industrial hemp industry. We have also added links to current news and presentations featuring catalysts for personalized healthcare. There has never been a better time in History to grow aside from World War II when North America relied on the versatile plant to support the war effort with ropes, sails, lubricants and more. Since first being re-legalized on March 12, 1998, under licenses and authorization from Health Canada, hemp as a specialty crop has had trouble gaining the recognition it deserves. But burdensome legislation was only one reason why the Hemp industry has remained fledgling. Fast forward to 2018, Bill C-45 has passed in Canada which, in addition to decriminalizing Medical and Recreational Cannabis, has re-opened the doors for Hemp cultivation on a mass industrial scale – indeed a move towards full de-regulation of the crop. And, in this environment of pending climate catastrophe, it’s about time. You may have heard all sorts of rhetoric about Hemp the versatile ‘miracle plant’. Indeed the plant can be used for everything from automobiles and bio-composites to nano-crystalline cellulose and yarn. But if the plant is so miraculous and has been legal to cultivate since 1998 then why don’t we see more hemp derived products around? The answer to that question is complex. The food industry has been the main driver for growth of the specialty crop since decriminalization. With retailers such as Costco eventually stocking raw and processed hemp products, consumers are beginning to acquire a taste for the superfood (hemp seed is rich in Omega fatty acids and Gamma Linolenic acid – a known nutraceutical compound used to treat skin conditions). Still, the novel and expensive specialty food has had only limited success in gaining market share. Reasons explaining slow market uptake could be due to stigma and misinformation surrounding this mysterious food or it could be the expensive price tag associated with a price high enough to convince farmers to re-learn how to grow it. Or, perhaps slow market adoption has to do with volatile market prices caused by fickle international food contracts – like I said, the reasons are complex! Then again, it may simply be mega-corporations in the food, forestry, auto and pharma industries suppressing the opportunity. Conspiracy theories and speculation aside, much of it boils down to the lack of processing equipment for the primary breakdown of the fibrous stalk. Fusion 2030 – A Roadmap for Canada. Troy Media’s articles reach almost a billion eyeballs each year. It’s yours to use. Special Edition – Is Alberta’s Economy in Trouble – Again? Alberta sentiment weakened further in fall ’18 for both economic resilience/diversification and the effectiveness of it’s innovation ecosystem. The widespread gains in economic resilience in the spring were reversed for the Calgary Region and all industries/professions other than Education & Research – particularly Finance & Investment and Government & Public Policy. Variations appear directly linked to changes in the Oil and Gas industry and Government & Public Policy. Sample: 59% Edmonton Region, 25% Calgary Region, 16% Other. 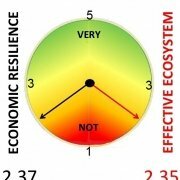 Economic Resilience (ER) – Weaker & Widespread. All Regions and Industry remain weak. Widespread industry/ professions decline: Calgary. Finance, and Government most. Only Education increased. Also weak: Forestry, Transportation, Mining and yr/yr – Engineering. Prime ER Indicators – Investment & People Impact. Corporate investment, job creation, and employment are viewed by respondents as the prime indicators of economic resilience. Reduced Corporate investment and Loss of market share increased since spring ’18. Constraints on Progress. 56% of respondents view Alberta’s Innovation Ecosystem as ineffective – up 5% vs 24% viewing it as effective – down 4% since the spring. Comments contain extensive critiquing and recommendations aimed at governments. Government’s Role – Job Support & SMEs. Policy and incentive support of small business and start-up innovation are most appropriate. Least: Invest in technology, job creating research and using public procurement to attract business to Alberta. A resilient economy. Leadership in innovation. Energy transitions. https://abctech.ca/wp-content/uploads/2018/10/Progress-grid.jpg 338 926 abctech_admin https://abctech.ca/wp-content/uploads/2018/03/ABTech_Logo_Yellow.png abctech_admin2018-10-16 11:48:582018-10-17 07:55:52QuikTech Notes - Special Edition – Is Alberta’s Economy in Trouble – Again? Sentiment in the resilience of Alberta’s economy has dipped for the 1st time since 2015. The decline may be related to pipeline uncertainties and further corporate constraint on spending. The Economic Developers of Alberta has joined the project – adding it’s network and advisory input to conduct of the semi-annual survey. FOR MORE contact Leann Hackman-Carty. 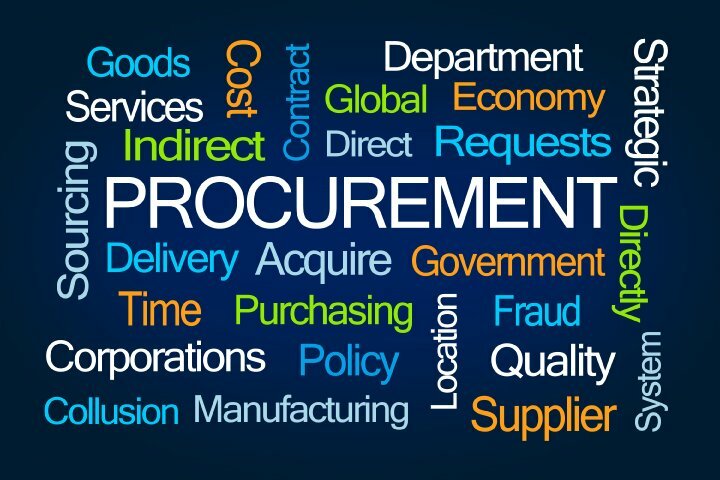 Public Procurement – is it broken? FOR MORE – visit ABCtech.ca/events to view all events. Edmonton – Students are ever-more concerned about their future: work and their careers, health and future wellbeing. The emergence of innovations in artificial intelligence and biotechnologies are cited as central to their angst. These are just some of the extraordinary findings in the report released today by the Alberta Council of Technologies in association with the Centre for Global Education. The report – the second in an annual study that will extend to all of Canada in 2019 and worldwide in 2020, engages thousands of high school students in a survey and follow-on team study. 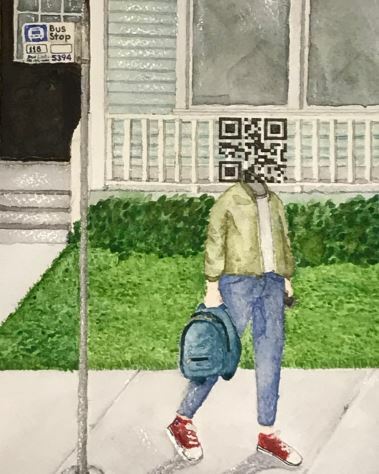 The project launched in 2017 with The Centre for Global Education was chaired in 2018 by Haley Simons of the Alberta Creativity Network. The full report – Engaging Youth – the future of work, can be accessed HERE. An associated video captures Haley and Terry in a recent presentation before the audience of ABCtech’s all-industry networking event and can be viewed HERE. Alberta – Today ABCtech is announcing two partnerships, one with Troy Media giving Alberta innovators extended reach with the media and Business on Camera offering access to video services. Reply HERE for an exclusive opportunity to participate available only to followers of the Alberta Council of Technologies Society.BUSINESS ON CAMERA and Alberta Council of Technologies are co-producing a series of documentary films about Alberta innovators and innovations that align with their shared vision of Alberta 2020 and beyond. 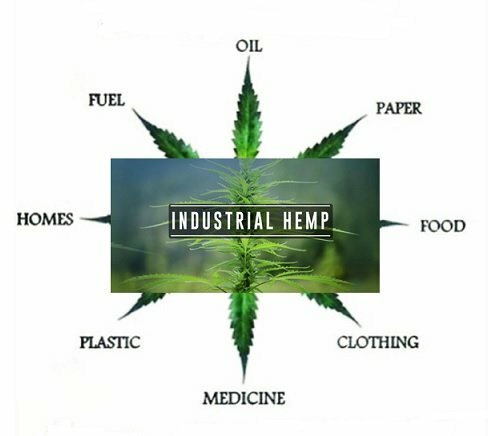 Click HERE for exclusive video content about: hemp, cannabis, AI. robotics, FinTech, blockchain and energy. 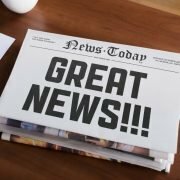 TROY MEDIA – Your company is doing ground-breaking work. ABCtech, in partnership with Troy Media, can help you tell the world about it. Troy Media’s unique distribution channels ensure the insights of your thought leaders are available to every Canadian, and to international audiences, too. Extend your company’s reach, impact and influence. · Raise its profile across Canada. · See its commentaries placed in media across Canada. 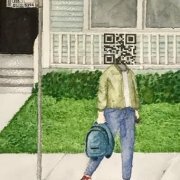 · Enhance its reputation as a credible and reliable source of original research and analysis. · Become the top-of-mind go-to source for media interviews in areas of expertise. 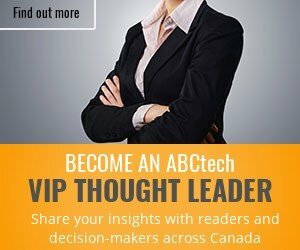 Your executives will share insights with readers and decision-makers across Canada via Troy Media’s network of Affiliate and Associate websites, including ABCtech.news. Your executives’ content will also be professionally edited and distributed to Troy Media’s national media outlet subscribers. Troy Media is an editorial content provider to more than 1,800 print and online media outlets in Canada. Since it was founded in 2005, Troy Media has developed a reputation for providing the in-depth analysis required by seasoned journalists and editors. Print, online and broadcast media outlets use or license content supplied by our columnists, Thought Leaders and freelancers – daily!